Dr. Joe Hubbard attended the University of Oklahoma where he received a Doctorate of Medicine in 1984 and completed his residency in internal medicine from Texas Tech University in 1987. Dr. Hubbard has been practicing in the Comanche area since 2008. 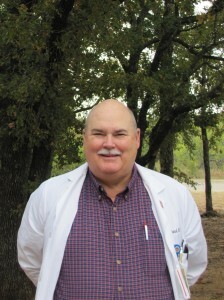 Before 2008, Dr. Hubbard practiced in Abilene. Dr. Hubbard served as a Commissioned Officer, Medical Service Corps in the United States Army Reserve from 1985-1990. In his spare time, Dr. Hubbard volunteers at his church and spends time with his grandchildren. Dr. Hubbard also enjoys hunting and traveling.